As of November 2016, the organization has 12 full time staff, including a Program Director, Administrators, Accountants, Social Workers, and Teachers. LPK has been working for the last 3 years to incorporate dance as part of their health and wellness program, however it was difficult to have a position solely based on health and wellness when funding only provided for administrative roles. After visiting the community in 2016, and seeing first hand the physical, mental, social and spiritual benefits that dance brought to the women and children of the LPK community, PL3Y Founder Melanie Levenberg started an initiative that would allow the organization to have a full-time position dedicated to the mental and physical health and well being of the women in the program and the people in the organization. 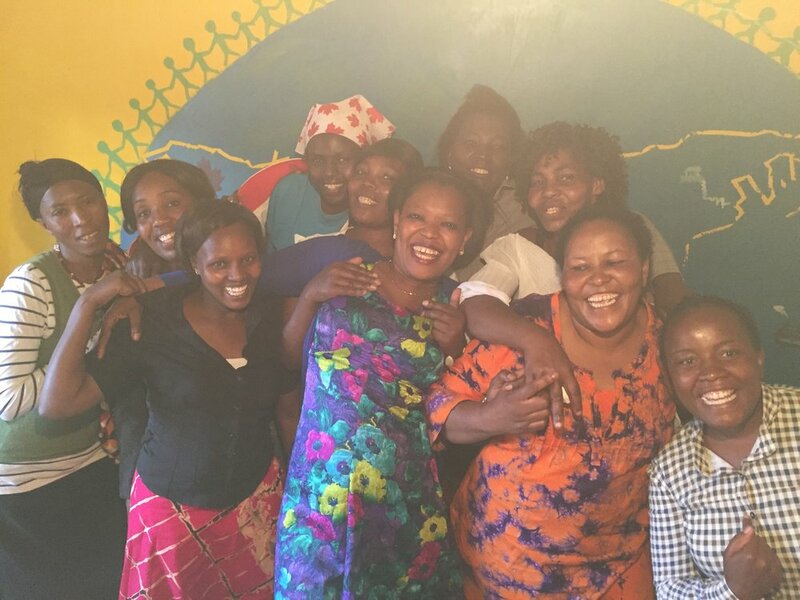 The Health and Happiness Coach position was created based on one woman in the program, Tabby Muthoni’s, natural skills and talents of bringing movement, positivity, friendship and support to the women and children of LPK. The Health and Happiness Coach position is funded by PL3Y International Inc through fundraisers led by DANCEPL3Y Instructors across the globe, and the sales of bags and bracelets, which are made by the women of the LPK program. 100% of monies raised through these events and the sale of the items goes directly to funding the Health and Happiness Coach position, and providing them with the equipment and tools to lead dance and wellness classes. What does a health and happiness coach do? Do self-care for women 1 hour every day and psychosocial lessons 2 hours every day. Office support work and to conduct morning devotions (singing) with women every day in the morning. Be Positive. Be Fun. Be Yourself. Help Living Positive Kenya with a donation and receive a bracelet and a handmade tote bag.